While the health system is relatively more developed than most countries in South East Asia, one-quarter of the population live in poverty and are unable to access adequate healthcare. Many causes of blindness are preventable if treated early. A lack of access to healthcare, clean water and sanitation can lead to unnecessary blindness. 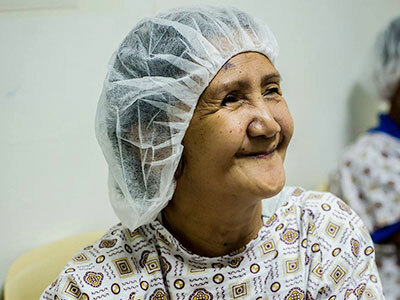 Cataract is one of the major causes of avoidable blindness, with an estimated 850,000 Filipinos suffering from bilateral (both eyes) blindness or low vision as a result of the condition. Blindness has a profound effect on quality of life and independence. It has devastating socioeconomic consequences for the patient, their family and their community. 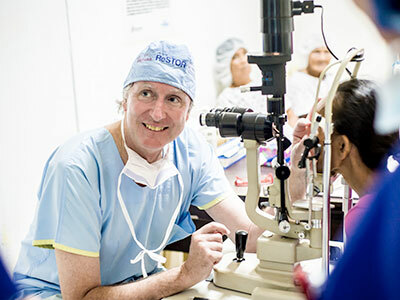 In 2013, Open Heart International commenced its eye surgery program at Adventist Hospital Santiago City with a view to contributing to ‘Vision 2020’, an initiative to give ‘all Filipinos particularly the poor and the needlessly blind, the right to sight’. Santiago is in the Cagayan region, an impoverished rural area with almost twice the rate of blindness as the rest of the country. Childhood cataracts are of particular concern in the region, with a disproportionate number of children in the area left without access to treatment. The program collaborates with Foresight Australia and aims to boost the capacity of eyecare services to the Cagayan region and increase cataract surgery rates. It aims to help the Adventist Hospital Santiago City to provide independent eyecare to the region. Training and education of medical professionals is paramount to the success of the project. 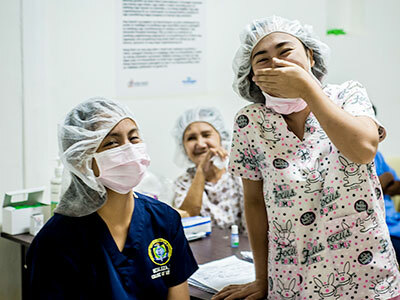 The Open Heart International team works closely with locally-based ophthalmologists to bolster their surgical knowledge as well as increase awareness and screening within the Cagayan Valley community. The program also upgrades surgical infrastructure and equipment in order to improve surgical outcomes. Specialty eye surgery equipment has been purchased or donated and transported to the Adventist Hospital Santiago City. Herbie is a friendly young boy, who on his 12th birthday received a unique and life-changing gift – the gift of sight. Herbie first lost sight in his right eye at the age of three, followed by his left eye at the age of five, both due to cataracts. Plunged into a world of darkness, he remained dependent on others and unable to go to school. 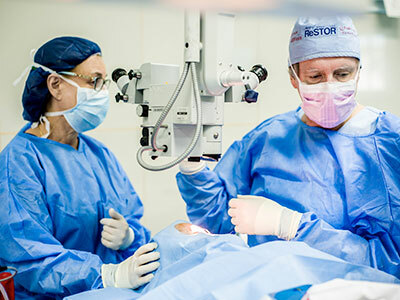 On his 12th birthday, the Open Heart International team were able to operate on his left eye. The operation was a success and Herbie was overwhelmed to see his mum again for the first time in seven years. With a beautiful smile on his face, Herbie was excited to enjoy life again. “He is so happy, laughing and wanting to help”, recounted his grateful mother. 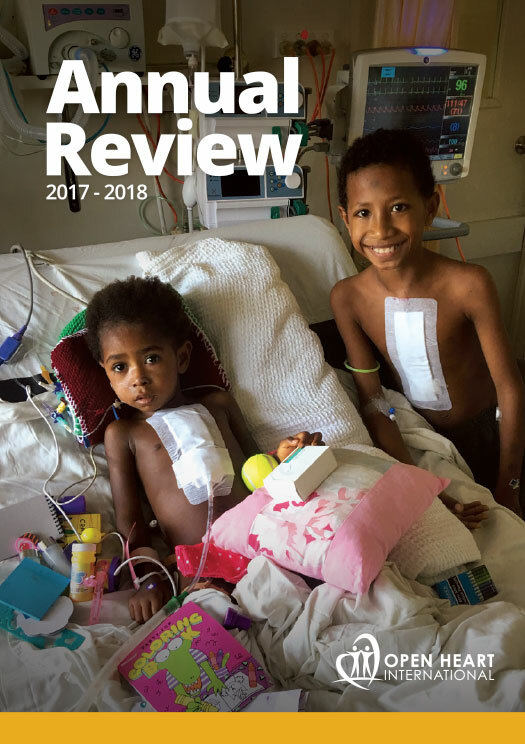 Six months on, the Open Heart International team returned to operate on Herbie’s other eye. Unfortunately, this eye had been blind for too long for a good recovery. Outcomes like this inspire us to work even harder to reach these children earlier, while their blindness is still reversible. Since his operations, Herbie has embraced his education. He is making up for many lost years of learning through an accelerated schooling program. With your generosity and our expertise, children like Herbie can receive the most precious gift – the gift of sight.